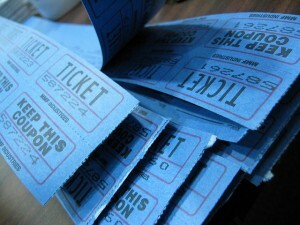 “Raffle Tickets” by alykat is licensed under CC BY 2.0. The OVPR would like to remind researchers that while it is acceptable to provide compensation to research participants, it is not appropriate for that compensation to take the form of entry into a drawing or raffle for a prize. The restriction is based on a Baylor policy that prohibits raffles or drawings as campus activities. This policy most often applies to campus groups who might wish to hold raffles as fund-raising activities, but the Office of General Counsel has advised that the policy also applies to research participant raffles. Brian Spry, research compliance specialist in the OVPR, can advise faculty on the appropriateness of planned participant compensation and help them develop alternatives that satisfy all applicable requirements. He can be reached by phone at 254-710-3147, or by email at Brian_Spry@Baylor.edu. Contact the Office of General Counsel with questions about the policy. The Office of Research Compliance will offer on-campus help sessions/workshops this semester for researchers who are planning to submit, or are in the process of revising, new applications (protocols) for IRB review, amendments, or continuing reviews of their human subject research projects. The help sessions will be held at various locations on campus for the convenience of researchers in different departments, but all researchers are welcome to attend any of the scheduled sessions. All locations will have wireless Internet connections. Researchers should bring their own laptop. Watch for future sessions throughout the fall semester. If you need help but are unable to attend to a help session, please contact Deb Penney at 254-710-3708 to make an appointment. The Office of the Vice Provost for Research, in collaboration with the Institutional Review Board, will offer a seminar next month to help faculty, staff and students learn more about research involving human subjects. IRB Chair Dr. David Schlueter and Vice-Chair Dr. Wade Rowatt will discuss the basics of IRB protocol submission and Baylor’s institutional requirements, including CITI training and the IRBNet online submission system. Time will be allocated for questions and answers. The seminar is open to all Baylor faculty, staff and students. Contact Deb Penney in the OVPR with questions about this event.